Kristen Stewart: "Twilight" Is a Really Phenomenal Thing, "On the Road" "Changed My Life"
Robert Pattinson's girlfriend opens up about the end of the vampire franchise and how she tries to "find those people that push you." Kristen Stewart arrives at the "On The Road" gala screening as part of AFI Fest on Saturday, November 3, 2012, in Los Angeles. 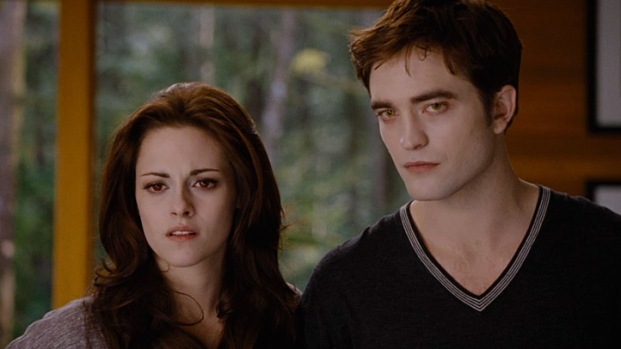 Kristen Stewart is almost done being Bella. "Twilight is a really phenomenal thing," she added, smiling at cheering fans across the street. Kristen Stewart talks the end of "Breaking Dawn Part 2"
Nikki Reed & Jackson Rathbone "Sad" about the End Of "Twilight"
Nikki Reed and Jackson Rathbone talk about how emotional they feel about "The Twilight Saga" coming to an end. They dish about what they wont miss from the movies and the final battle scene. "Breaking Dawn-Part 2" will premiere on November 16. But as much as she loves vampires, vagabonds are pretty cool, too. "When I read ['On the Road'] for the first time, I was so young," she said. "I was like 15 years old--14 possibly. It changed me. For the rest of my life I will try and find those people that push you...Every character you want to like run after. I'm not necessarily that type of person, so I need to find people like that." But at the end of a packed promotional tour (between "Breaking Dawn" and "On the Road," K.Stew's been one busy lady), how does this 22-year-old girl relax? "It's pretty easy," she said. "Take the shoes off. It's kind of a done deal." To hear more of Kristen's interview, tune in to E! News Monday at 7 p.m. and 11:30 p.m.
"The Twilight Saga: Breaking Dawn - Part 2"
Newlywed parents Bella and Edward make their final stand against the Volturi in the last chapter of the last chapter of Stephanie Meyer's bestselling series. Twilight goes global! Check out where the cast has gone on their BD2 press tour!